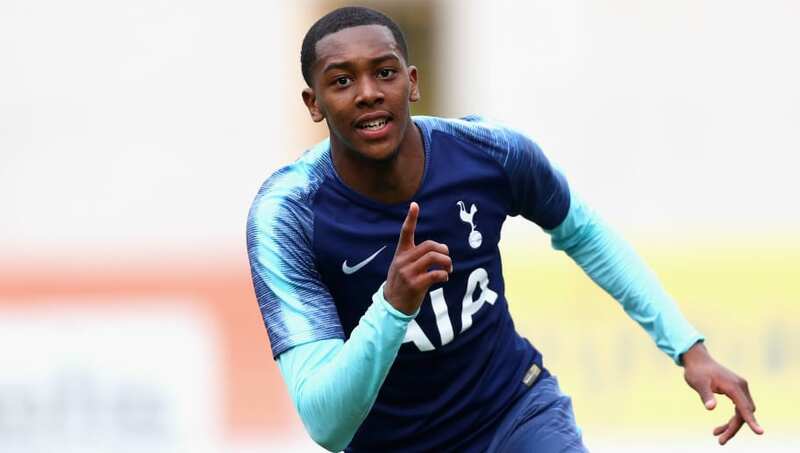 The 19-year-old has just six months left on his contract with Spurs, and has failed to break into the first team due to strong competition from the likes of Ben Davies, Danny Rose, and Kyle Walker-Peters. The youngster plays in the left back position, and was a part of his club's 2017 summer tour of the USA. According to the Examiner, the ​Terriers are looking to pounce on the talented teenager, and could look to bring him to the John Smith's Stadium when the transfer window opens next month. The club are staring down the barrel of relegation, having slumped to the bottom of the league table, and could do with some fresh blood to boost their chances of survival. The report claims that Town boss David Wagner views Brown as a prospect for the future, rather than an immediate starter, and is likely to add the player to his development squad instead of throwing him straight in at the deep end. However, with the Terriers' first choice left back is Chris Löwe struggling this season, Brown could offer an interesting alternative option. Meanwhile, ​Wagner admitted that his side's last gasp loss to Fulham on Saturday was a real blow to their hopes of avoiding relegation. Aleksandar Mitrović's goal grabbed a precious three points for the ​Cottagers in stoppage time, an outcome that saw Claudio Ranieri's rejuvenated side haul themselves four points clear of the rock bottom Terriers.